Like humans, animals face risks from a large number of pathogens. Besides affecting domestic animals or livestock, certain illnesses (zoonoses) can have an impact on human health. Their prevention and treatment are therefore important. Infusion of injectable veterinary product. 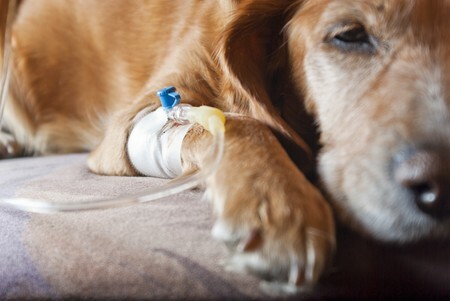 Technoflex IV bags for veterinary infusion made in PVC or polypropylene bags offer numerous advantages in line with veterinary doctors’ requirements. The bags’ closed system guarantees the safety of veterinary perfusion and handling is reduced to a minimum. The possibility of adding other medication and the easy fixation of the bag with its inbuilt ring offer an additional level of comfort.